Bhutan reminds us of the green valleys, snow capped peaks, bracing climate and fascinating heritage and culture. This splendid country is flanked by the Indian state of Arunachal Pradesh in the East, Nepal in the West, and Tibet in the north. You will never be in want of activities in Bhutan. The valleys and temples, Handicraft emporiums, memorial, Chukha Hydel Project and monasteries are some of the predominant ones among the tourist attractions in Bhutan. 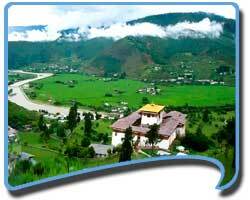 It is an exquisite valley and is home to some of Bhutan's oldest temples & monasteries. Paro also houses Bhutan’s only airport. This valley is also one of the most fertile ones in the Kingdom, producing a bulk of the well-known red rice from its terraced fields. Located at an elevation of 2,300 meters it features Taschichho dzong which is the main secretariat building, houses the throne rooms of the King and is also the summer retreat of central monk body. Built in the 17th century is the Wangdi dzong located at the altitude of 1,350 meters to the south of Punakha. The dzong is located at the convergence of Punakhachu and the Tang-chu River. It is one of the most magnificent places of tourist interest in Bhutan and the highest reaches of the valley confer rich pastureland for cattle. Tongsa forms the essential hub of the nation and is historically the place from where attempts at uniting the country were launched. The vast expanse of the spectacular landscape around Tongsa would seem to tease you into thinking if ever you will make it there. 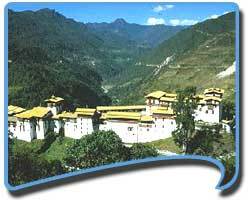 Bumthang valley is at an elevation of 2,600 meters and is to the east of Tongsa. This valley is the religious hub of the nation and home to some of the oldest Buddhist temples. This place houses Bhutan's newest dzongs that were built in the 1930s. When you visit this dzong it gives you a feeling of how traditional Bhutanese architecture has continued to prosper through the centuries. Bhutan is rightly said to be a botanists’ paradise. 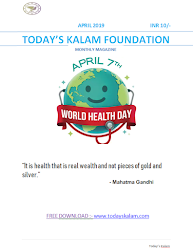 It has a rich variety of the floral species that include Rhododendrons, junipers, magnolias, carnivorous plants, rare orchids, blue poppy (the national flower), edelweiss, gentian, medicinal plants, daphne, giant rhubarb, high-altitude plants, tropical trees, pine and oak. Some of the rare and exotic faunas found in Bhutan are golden langur, red pandas, black-necked crane, snow leopard, takin, musk deer, Himalayan brown bear, Himalayan marten, tiger, hornbills, pheasants, mountain goats and timid blue sheep. There is no limit to the tourist attractions in Bhutan and you will definitely get a chance to visit the most amazing of the natural and man made attractions on your tour to Bhutan that still continue to attract the tourists.